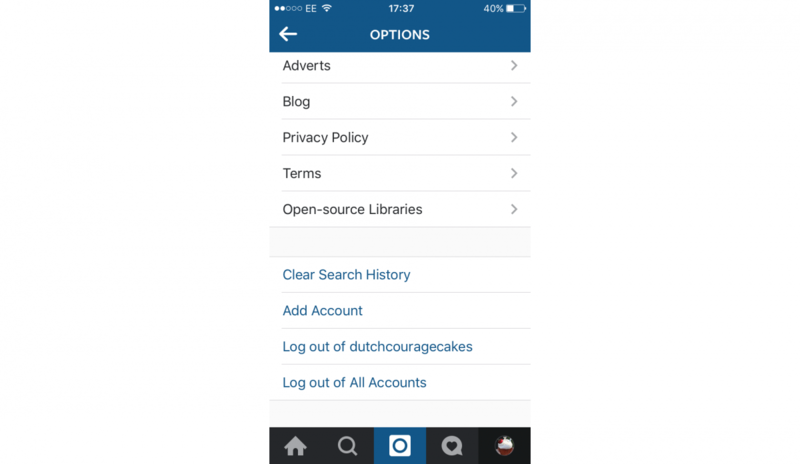 Here is How to use Multiple Accounts on Instagram App. Your Favorite Instagram App now allows multiple accounts. Here’s how to do it. For those of you that have both Personal and Business accounts you initially had to sign out and back in repeatedly in order to check each individual account. Others have resorted to using unsafe third party Instagram apps or even maintaining multiple phones in order to keep tabs on more than one account simultaneously. Therefore I am Happy to announce to you that Instagram has just announced one of its most eagerly anticipated features. Much to the delight of Nigerian business users everywhere, it’s now possible to switch between multiple accounts from within the Instagram mobile app without signing out. Starting with app version 7.15 for both Android and iOS, it will now be possible to add up to five additional accounts and manage them all from within a single up. It’s simple to add a new account from inside the app. Go to your profile, by tapping on the “head and shoulders” icon at the bottom right of the screen. Now tap on the gear or triple-dot icon at the top right and scroll down to Add Account. Enter a new username and password for the new account you would like to add (much like signing up for the first time). Your new account will now be added to the app. Go back to your profile and tap on your user name at the top left to bring up a menu of installed accounts. Select the one you wish to use and the app will switch accounts. You also have the option of adding a new account directly from this menu. Note: You that you will receive push notifications for all of the accounts you have added, according to your individual notification settings for each. This is a very welcome and long overdue move from Instagram. You can now easily manage your Personal and Business account. For example, if you have an Instagram account specialising in Beauty Products, you could now easily add a second account were you can share Personal images without affecting your brand. 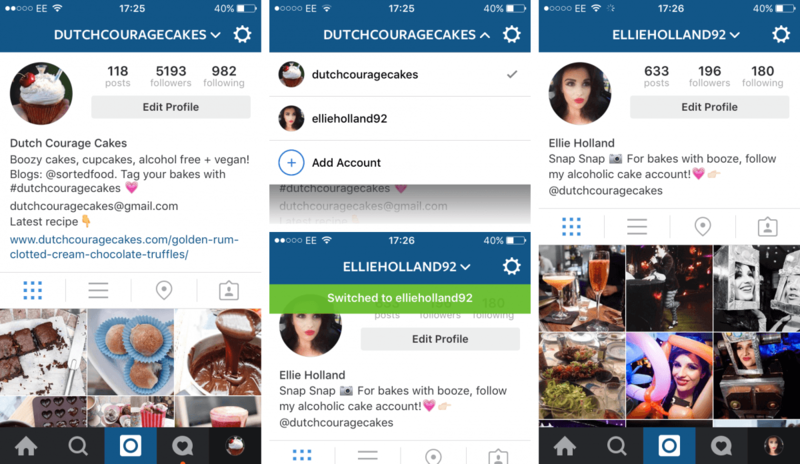 I predict more registered Instagram accounts as a result of this simple change.